I love the new Mutual theme for this year! In planning our first class activity for Beehives, I wanted to do something that could have a focus on the new theme. The new video put out by The Church of Jesus Christ of Latter-day Saints for the 2016 Mutual theme depicts youth on the path to the temple. To watch that video click here. 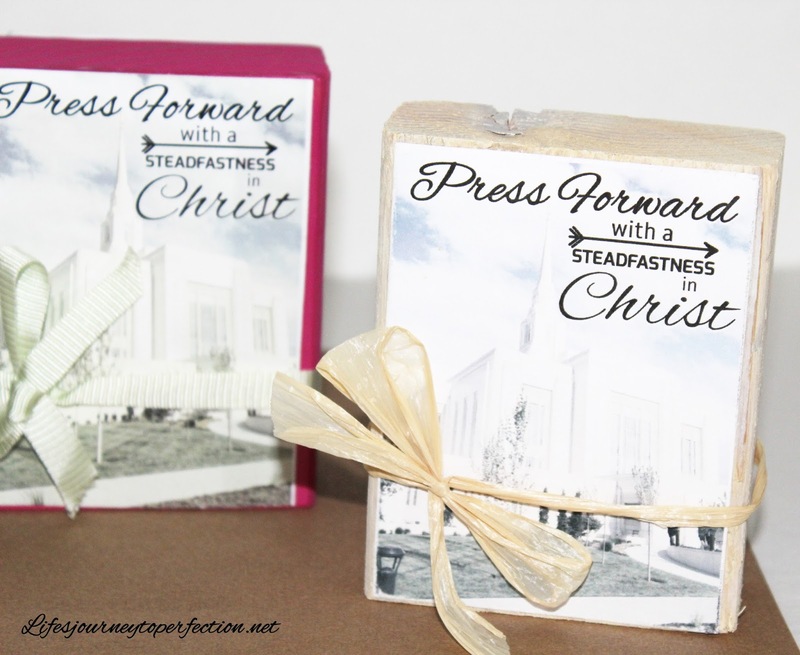 I love the focus of keeping covenants and staying steadfast on the path to making temple covenants. So, I decided to have the girls make temple blocks and temple goals. Since, I just love sharing things, I thought I would post the printables on here and how to make the blocks too! 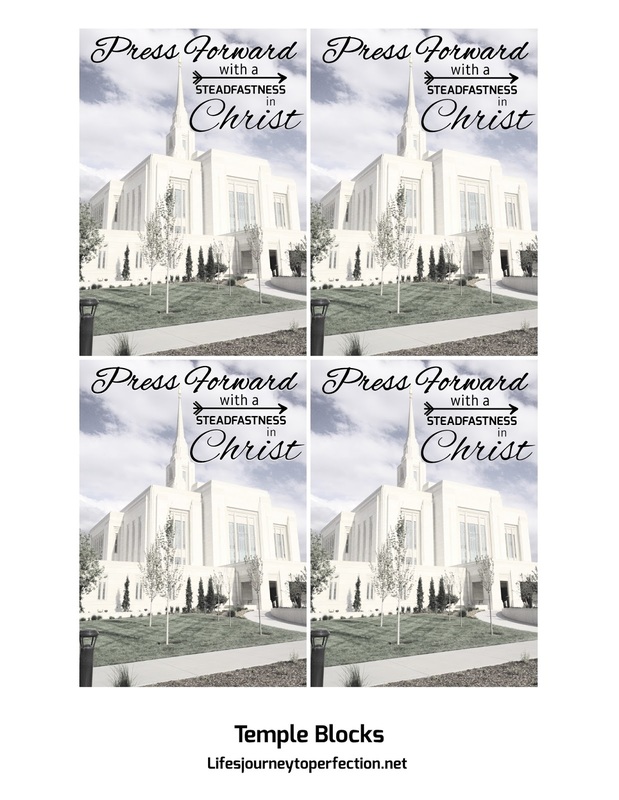 ***Just ADDED*** More options for the Temple printables (Washington DC, Salt Lake, Brigham City, and Logan) Click here to view image and download! This was a fun activity, it was so much fun to see the colors the girls chose and see them be creative! While the paint dried we had them fill out their temple goals. Each girl received a piece the temple goal printable above. We read the two quotes and they were invited to write down some temple goals they have for this year (such as how many names they plan on preparing for them temple, how often they would like to go do baptisms for the dead, etc.) as well as their long term temple goals (such as eternal marriage and endowments and what they can do now to prepare). When the paint has dried, the girls then mod podged the Press Forward temple picture to the front of their block. To do so you do not need a lot of glue. Simply place a thin coat of glue on the front of the block and a thin coat of glue on the back of the picture. Place the picture onto the block and smooth out. If you would like you could also mod podge over the picture or spray with a clear coat. On mine I lightly sanded the edges of the picture so it blended into the block better. You could also distress the edges with ink if you'd like too. Lastly, pick your embellishment, whether it be ribbon, raffia, or tulle and tie it around the bottom of the block into a bow. If you didn't want to do these as an activity they would also be a great gift for the girls for Birthdays or New Beginnings. Here are some of the beautiful blocks my Beehive made!! Need more ideas for 2016? Click here...2016 LDS Mutual Theme Ideas and Free Printables: Press Forward With a Steadfastness in Christ. These are beautiful! It's a great idea and I love how you put it all together. Thanks so much Camille :) It was a fun activity! I really love that you had them set goals for the temple. Thanks so much for sharing! I love all of your stuff! You are very talented! 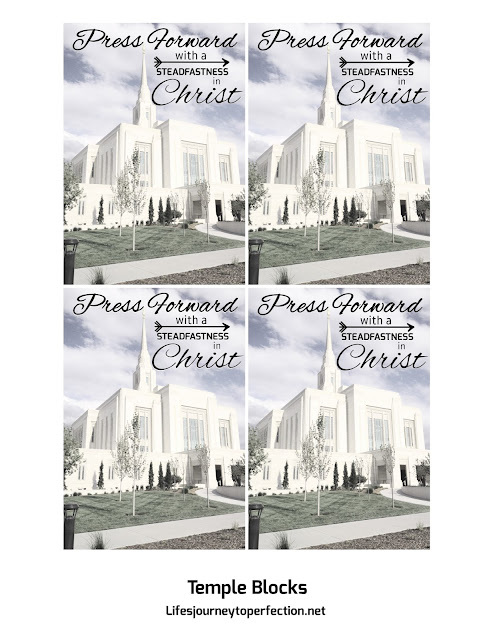 Are you able to add the Denver Temple? I posted it Deanne :) Hope you'll be able to use it. I would love to do this for my girls with our local temple. Are you still able to use a picture if I take it and send it to you? Also I wanted to put the girls names in the background. Is there a way to have the words separate so we can put their name in vinyl at the top and then print the theme in vinyl over their name? Liz, I did receive permission from the church to use the temple images in the Media Library. 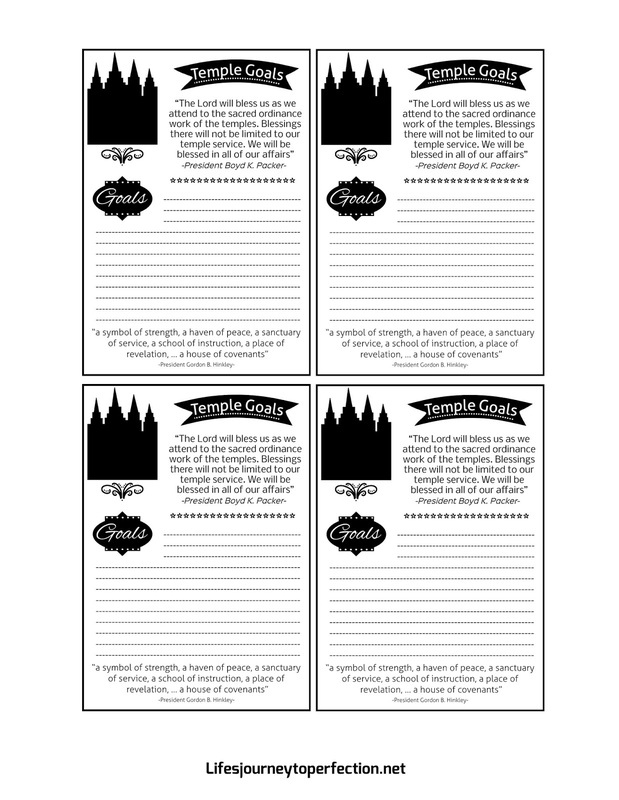 Which temple would you like? How many girls do you have?